« O’Neill-Fitzgerald “Christ Myth” Debate, #8.5: Who did make it into the historical record? The following is not an argument in itself for Luke’s imitation of the utopian community in Plato’s Republic but it does provide the raw materials for such an argument. In another post I plan to elaborate on explanations for the points in common between the earliest Christians in Acts and Plato’s description of the guardians in his ideal state. Hint: they have to do with the relatively recent advances in studies of the way ancient authors imitated master-works and re-wrote them through a process we call “intertextuality”. The table comes from “The Summaries of Acts 2, 4, and 5 and Plato’s Republic” by Rubén Dupertuis, a chapter in Ancient Fiction: The Matrix of Early Christian and Jewish Narrative. After the table I Dupertuis suggests that several inconsistencies in the Acts narrative may be explained most simply if the author was emulating the narrative of the ideal society led by Plato’s philosopher-kings. Traditional explanations for these inconsistencies have suggested the author was switching sources and/or not concerned about consistency. I’ll also cover these explanations in a future post. 42 And they continued steadfastly in the apostles’ doctrine and fellowship, and in the breaking of bread and in prayers. 43 And fear came upon every soul, and many wonders and signs were done by the apostles. 45 and they sold their possessions and goods and divided them among all men, as every man had need. 47 praising God and having favor with all the people. And the Lord added to the church daily such as should be saved. 32 And the multitude of those who believed were of one heart and of one soul; neither said any one of them that any of the things which he possessed was his own, but they had all things in common. 33 And with great power the apostles gave witness to the resurrection of the Lord Jesus, and great grace was upon them all. 35 and laid them down at the apostles’ feet. And distribution was made unto every man according as he had need. 12 And by the hands of the apostles were many signs and wonders wrought among the people, and they were all with one accord in Solomon’s Porch. 13 But of the rest, no man dared join himself to them, but the people magnified them. 15 insomuch that they brought forth the sick into the streets and laid them on beds and couches, that at least the shadow of Peter passing by might overshadow some of them. 16 There came also a multitude out of the cities round about unto Jerusalem, bringing sick folks and those who were vexed with unclean spirits; and they were healed, every one. Posted on 2014-01-13 10:33:28 GMT+0000 by Neil Godfrey. This entry was posted in Biblical Studies and tagged Dupertuis: Summaries of Acts, Early Christianity, Luke-Acts, Philosopher king. Bookmark the permalink. I suppose I should spend more time with the New Testament . . . While I think there is some merit to the idea that Acts was written with knowledge of (and perhaps in reference to) Plato’s Republic, the evidence is found elsewhere. I have two major problems with the attempted mapping of the “classes” of the Republic to those of Acts. First, the classes of the Republic are hereditary and immutable (people cannot pass from one class to another), while those of Acts are not. For example, once the Apostles died, there would be no more guardians (ruler guardians), and non-Christian producers (“working classes”) could become auxiliaries (warrior rulers) by converting to Christianity as discussed in Acts 5:14. Second, within the teachings of Plato, non-Christians would be wholly outside of the Christian state, just as slaves and barbarians were in Athens. From the provided excerpts of Acts, I would say that the most direct influence of Plato (and what distinguishes it from Judaism) is the elimination of private property, aka communism, alluded to in Acts 2:45 and Acts 4:32. You don’t find this in the Torah. That being said, my working theory is that Christianity’s foundation– Judaism– was initially created by the Peripatetic school under the sponsorship of the Ptolemies and Seleucids as a panhellenistic state based on the teachings of Aristotle and Plato. Plato’s influence in the Old Testament is most evident in Deuteronomy (Wajdenbaum notes that the same laws appear in the same order in both the Republic and Deuteronomy), which I believe was added to the canon soon after Antiochus the Great wrested Coele-Syria away from the Ptolemies. Because the Synoptic Gospels in large measure merely Romanize many stories of the Old Testament, the influence of Plato on them should not be surprising. On the other hand, differences never mean that correlations or analogous phenomena are not identifiable and real. In fact, differences are absolutely necessary — or else we would never have any analogy or parallel (or creativity) at all, only direct copying of exactly the same things. Virgil’s Aeneid has many differences from Homer’s epics. That’s where we identify the creativity of his reuse of Homer. To be fair, I should have been more careful and expressly limited my comments to only the final table re: Division of Society. The similarities set forth in the other tables seem reasonable. Again, I have no problems believing that the Synoptic Gospels were based in part on the teachings of Plato because I view the Synoptic Gospels as borrowing heavily from the Old Testament, and the Torah appears to have been heavily influenced by Plato’s Republic. The interesting thing to me, and I reacted to it earlier, is Acts’ elimination of private property, which the Torah does not contain (making the Torah more consistent with Aristotle’s views and different from Plato’s Republic). Once the widows had served their literary function they disappear from the scene as totally as the famished in Judea disappear once the Church at Antioch and Paul demonstrate their care for them . . .
Ditto for the utopian beginning of the Church. Once it’s served its function it is dropped and the next step in Luke’s chain narrative is presented. As for similarities needing to be similar in the sense of being clearly recognizable, that is not how a number of scholars are coming to understand the way ancient mimesis worked. Yes, there are some clearly recognizable “flags”, but very often the art is in transforming an original into something quite different. It is only because of context and the other indicators for literary borrowing and, importantly, emulation/transformation/transvaluation that we can see that Virgil’s Aeneas sailing smoothly around a coastline without a single adventure, nothing but favourable breezes, is meant to show how superior Aeneas was to Odysseus who suffered the most dramatic adventures in the same region. There are many tales of smooth-sailing and no reason at all to link them with Odysseus’s totally opposite experiences — it is the context and other details that alert us to Virgil’s intention here. Very often an author breaks with some significant aspects of the original to demonstrate his own hero operating at a higher plateau altogether. So hidden are many of the parallels that they often take serious study and analysis to uncover. And they can only be accepted as such if the arguments are substantial enough. Just in isolation (out of broader literary context) this cannot be done. It is the collection of isolated comparisons, ripped from deeper analyses and contexts, that is the real sin of parallelomania — as we see in astrology, astrotheology, etc, and Sandmel’s article. I have picked up Potolsky’s book on Mimesis, but I have not had a chance to crack it. If you can point me to any other good sources, I would appreciate it. Upon further thought, I think my objection to the alleged parallels between Acts and Plato is grounded in the knowledge that Plato did not innovate the concept of three social classes within the state. There is a lot of apparent innovation in the Republic, but three distinct social classes is not one of them. So when somebody tries to say that the concept of three social classes is derived from Plato, particularly when the presentation of that theory does not seem to hold water (for the reasons I’ve said), I just don’t buy it. Correlation does not equal causation. Again, however, the failure of that one alleged similarity is not dispositive to me. I seem to remember reading somewhere the past few months that among apocryphal and Gnostic gospels found at Nag Hammadi, there was also an ancient copy of Plato’s Republic. Plato seems to have had a big influence. That’s not overly surprising when you think about Philo, then the same use of the Logos for the Johanine gospel. Nor is it surprising when you think of the Gnostic/Alexandrian side of Christianity. Yes, that’s correct. Parts of the Republic were found among the manuscripts. I appreciate that Luke is writing for a Hellenistic audience, but could Luke have been describing the early Jewish Church structure based on the Essene or Dead Sea Scroll Sect which itself shared many of these same characteristics? Perhaps in describing that Luke has assimilated the original to the more familiar Republic – Hellenizing it in the process. Possible perhaps, but how likely is this if Acts is dated to the mid second century, and especially if written at Rome? Therefore the author of Luke/Acts might have had some record (in addition to Mark) on the organization of the “Jewish Church” no matter how muddled it may have become over the years. As S.G.F. Brandon points out, Luke reveals things that Mark did not (for example that Simon is a “zelotes”, apparently because Luke is more distant in time, and the situation much less precarious than it was immediately after War of the Jews. Perhaps the Jewish church organization, which the author may not have fully understood in its original political context, is one of those things he lets slip, even assimilating it (in his own mind) to a more idealized and pacific Greek context. J. P. Meier reminds us that the political group of “Zealots” does not appear in the record till the mid to late 60s and that the nickname in the Gospel context means simply one zealous (like Phineas, for the law). Other nicknames were assigned by Jesus to indicate the disciple’s character in relation to Jesus and the gospel. That’s the context so I think “Simon the zealous” is the natural reading in the gospels. If Luke was thinking of the political group he was injecting an anachronism from the late 60’s back into the time of Jesus and not drawing on any evident sources. Can we think of a motive for him doing that? Further, there is scant evidence for Jesus ever having had a group of twelve who formed any sort of authoritative or organizational pillar or core of the church after Jesus’ death. The hypothesis of the twelve runs into so many problems when we try to explain Paul and his letters. The twelve also appear to have been literary-theological constructs from the beginning (in Mark). They are forgotten and lost from view as soon as their literary and theological function is completed in Acts. What you say is all possible, but I personally prefer to go with the theological/thematic/literary explanations for Luke’s portrayal of the positions of the apostles and deacons and general church structure. I find a simpler explanation in Couchoud’s suggestion that the author was in fact injecting Rome’s cardinal church structure of his own day into the foundation days of the church. Oh, and I really like your literary analysis of the Emmaus road incident. But I did want to give you a heads up on the Plato one. 1 Cor. 15 also testifies to the historicity of the resurrection and the 500 witnessing the resurrected Jesus (and no-one takes those as historical), and there are well-known arguments even among “mainstream critical scholars” for the entire passage being an interpolation. If there was a body of Twelve as we read in the canon then we have so many problems arising with Paul’s letters and other questions of the evidence for early Christianity. The Twelve surely began as a midrashic or allegorical group concocted by Mark. Josephus was not writing a realistic historical portrayal of the sects in his day but was setting up the Jews to be like the Greeks and Romans with their neat and delineated philosophical schools. His fourfold sectarian division is artificial and literary. The real situation was much more messy. All Josephus tells us about that Judas the Galilean was that he opposed paying taxes (like any other bandit did and like probably most people did, at least in principle). We read in vain for any clear indication that his “movement” (whatever that was) was violent in any way. We could easily read it as passive resistance. There is no descriptive link between these events and those of the 60s. I agree Neil. It was very messy, and Josephus does seem to be doing exactly what you say, setting up neat divisions of philosophical schools for his Greek and Roman audience. And as you say, did Judas of Galilee really found the Zealots? Probably not. But Josephus does trace the Sicarii to Judas in War bk 7. ch. 8.1. And I see a similarity between Mattahias (1Macc 2:22-27), who was zealous for the Law, and the Sicarii, although the Sicarii may have been only one faction of those zealous for the Law. If I may, I would quibble with the word “trace”. I don’t think Josephus traced any lineage or links back to Judas the Galilean so much as simply asserted Judas’ role as the founder of those that became the sicarii. However, when it comes to the “twelve”, it seems that the Gospel has a lot of duplication and inconsistency in naming them. I assume the Gospel writers really only knew a few of the twelve by name – the rest were inventions to serve a theological purpose or to fill in the blanks. Let me correct that. The Gospel writer may have invented some of the names, but the names were only partially used for theological purposes. In some cases the names served a political purpose, or (I think) to deal with unsettling historical associations, inline with Robert Eisenman’s speculations. As for the “three,” Paul also mentions the three pillars, James, Cephas and John in Gal. 2:9 (of whom he says, “whatever they were makes no difference to me; God does not show favoritism—they added nothing to my message”). So we can add an 18th point the 17 I mentioned in a previous comment between the DSS sect and Jewish Christianity: Both sects had a leadership structure of twelve and three. The leadership structure of Twelve in the early church is entirely literary. There is no evidence that can serve as a control to give us any reason to think that the literary narrative bore any relationship to historical events. In fact the evidence we do have points directly to borrowing from other literature. The OT itself stresses the number 12 as the foundation and organizing principle of Israel. The fact that the Qumran community (as it’s known) also appears to have had a leadership of twelve (with most likely 3 extras from the priesthood or inducted as priests, making 15) only confirms for us that the concept of a leadership of twelve over a religiously based “politeia” was an accepted and unsurprising concept in the years apparently coinciding with earliest Christianity. That does nothing more than confirm for us that Christianity’s concepts grew out of the same ideological and cultural milieu which housed the Qumran community. It tells us nothing more. There is no evidence for a causal link between Qumran and Christianity. There is certainly no evidence that early Christians were historically led by a group of twelve. In fact that hypothesis has much going against it. While I agree that as far as the gospels go, “the Twelve” is likely a literary creation, I’m not so interested in the gospels as I am in Paul’s references to twelve and three, and I think this is a reflection of the structure seen in the DSS, considering all the other similarities that exist between the DSS and Jewish Christianity. And while I know there are issues regarding the validity of 1 Cor. 15, it does mention two of the three pillars named in Gal. 2:9 in addition to “the twelve,” so there is continuity there. No doubt there is symbolic meaning behind “the twelve” in the DSS and the gospels, but even if that’s all it is, just as other ideas and issues in the DSS are arguably reflected in Paul, so this may be another one. Eisenman points out that they add “ands” to Ezekiel’s prophecy in order to change it to mean three things instead of one. So the idea of “priests” is a loose one in the Scrolls, and “the twelve” may be as well, but all the same, this was how they viewed their structure, and this is what is arguably being reflected in Paul. Twelve was a common number of numerological significance. Mark clearly derives the number from his allegorical-type rewriting of elements of the Old Testament. Luke-Acts clearly draws on Mark. Most importantly for the theme I have been pushing here, however, is when we understand the literature of the gospels and how it works then we see there is no reason — it is in fact a mis-reading — to assume its narrative elements point to real events in history. The literature is most immediately explained as a dialogue with other literature in which Twelve and Three have analogous significance. It is misguided to “read through and behind or beneath” the narrative. The narrative elements need to be read on their own terms. Only when we have controls (by definition external to the text) can we have some confidence that the narrative is referencing real events outside the text. The DSS no doubt took the idea of 12 from the OT, too. Paul’s Galatians, in conjunction with the Gospels, does point to “the 3” being prominent members of the group of 12. The DSS makes the 12 and 3 clearly separate, not only in position but in qualifications for holding the position. Unlike the 12 the 3 must be “priests”. So it is surely clear that their 12 and 3 was quite independent from anything we read in the later Christian literature. This is all “maybe”. Yes we can see parallels but we have no evidence that tells us there is any link between what we find in Paul and the DSS. And Eisenman himself says it’s all “interesting maybe possibly” stuff, in effect. That’s all it is. So I don’t see how we can conclude there is an actual historical link. Eisenman himself jumps from a string of “interesting shadows” to building his case. I don’t buy that. Such a method really is what the term “parallelomania” described. The real test of any hypothesis is in its ability to withstand attempts to disprove it. Instead of finding more and more parallels, take some time to see what evidence or data might count against the hypothesis. Have you engaged with any critical reviews of Eisenman’s hypothesis? He has no argument that I can see — only a lot of “interesting parallels” from which to make conjectures. I mostly do see criticism regarding Eisenman, the most notable (from way back) being Painter in his book on James. I find his (and others) criticisms weak, since, as I said in another comment, they are generally too engaged with Eisenman’s myriad speculations about seemingly every unanswered question in Christian origins instead of focusing on the “hard facts.” For example, Luke says that early Christianity was called “the Way,” and this is also true of the DSS sect. There’s no “maybe” about this. While I find Eisenman’s speculations interesting (if unprovable), my interest is in his understanding of what the Dead Sea Scrolls actually say, regardless of whether one thinks they are Jewish Christian or not. On that score, I think he has the best understanding of anyone else I’ve read on the subject. Now, as for all the parallels that do exist between the DSS sect and Jewish Christianity, I look at it the same way Carrier does in his review of MacDonald, that, while one may be able to pick apart this or that point of similarity, the fact that there are so many lends credence to the idea that there is something more going on. I’ve listed, thus far, 18 such parallels (and there are many more), and no one has engaged me on any of them. Correction: I should have said that I listed 17 other parellels that no one has engaged, since we’ve obviously discussed point 18. You missed my point. The number of parallels makes no difference. MacDonald’s thesis that Mark drew upon Homer would be valid if only one of his case-studies were true and all the rest false, so there is no valid comparison with MacDonald’s thesis. MacDonald’s methodology hangs on far, far, more detailed argument than simply tossing up as many “interesting maybe possiblies” as he can! He does not rely upon “parallels” but on a range of specific criteria and independent or external controls relating to the literary, educational and cultural environment. The idea of throwing up parallel after parallel with the idea that the more there are the more likely there will be a few “hits” and thus the more likely the hypothesis itself is true is not a valid methodology at all. A homeopath can’t get away with publishing as many cases of “apparent healings” in the expectation that the more such “possibilities” there are the more likely there must be some that are true — and therefore conclude homeopathy was responsible for those few healings. If we see a lot of parallels then yes, I agree, it is quite natural to think “something is going on”. But what that “something” is needs to be discovered and established with independent data. I also agree “something is going on”, but I do not accept any thesis that rests upon conjecture about what that something is. This is the same methodology as used by Acharya/Murdock and her astrotheology idea. It is the same methodology used to rationalize astrology and conspiracy theories. The difference is that with Eisenman, the parallels are found in more “historical data”. But the methodology is invalid. You cannot build a hypothesis on a string of parallels from which you then make conjectures. Or at least you can certainly propose a hypothesis that way, but then you need to set about disproving it. Finding alternative explanations. Looking for controls. The word “parallelomania” in its pejorative sense was coined to apply to just this methodology. See the Sandmel article in the Pages in the right side bar. In fact, Eisenman’s methodology is worse in that it does not simply conjecture a hypothesis upon a large number of parallels, but he builds conjectures upon other conjectures until he reaches his final argument. Well, I can’t speak for Eisenman’s methodology (whatever that may be), and I don’t focus on speculations I don’t agree with or can’t really be proven. This is the same way I treat everyone else. Take Atwill, for example. I don’t have the time or energy to think about what I don’t agree with (almost everything), nor do I care to hold him accountable for those things, and instead I think about whatever I might agree with (that members of an intellectual circle surrounding the Flavians could have written a gospel or gospels), and I add it to my own thoughts or speculations. I couldn’t tell you what my methodolgy is, but I think I generally have a good understanding of Christian origins, and certainly of the primary sources, which is always my main concern. The points I outlined are simply (some of the) things I “take” from Eisenman that make compelling sense of early Christian writings and the Dead Sea Scrolls, more so than anyone else I’ve read, and I think all of them can be defended soberly and with good reasoning. I’m simply adding the DSS to the Christian origins table because to me it makes good sense to do so. Surely if a speculation can be proven it is no longer a speculation. Naturally we like conjectures that accord with out own sense of likelihood and have no time for others that don’t. But conjectures by their nature cannot be proven or disproved. That’s what makes the whole exercise a form of “parallelomania’. The argument in the end is circular. One begins with the hypothesis one sets out to prove. If one interprets all data through such a paradigm then naturally one will find all the data supporting one’s conjectures. A hypothesis that is unfalsifiable is useless. You’ve read Eisenman so his method of argument or interpretation of the data should not be hard to recognize. Others can look at the same data and not draw the same conclusions — because they don’t begin with his assumptions or conjectures and don’t interpret the data through that framework. We will generally find what we are looking for this way. I might add here a personal note. For years I was part of a religious outfit that made claims that I believed I had proven rigorously. I pored over the evidence repeatedly over the years and analysing it, I thought, inside out, and always concluding afresh with “proofs” for the claims. I did not realize I was arguing the same way as Murdock, astrologers, or even Eisenman in the instance we are speaking of. I failed to understand that my reasoning was circular (I was convinced it was not), and that I was in fact really finding what I was looking for, and not analysing each bit of data from all possible angles. One of the first things I had to do after leaving that set of beliefs behind was to study and reflect for a long time on the way we can so damn sure we have proven something honestly and rigorously yet all the time completely kid ourselves. I have since seen so many fall into the same trap that I became so sensitive to, but I also know how it is pointless, generally, trying to argue against such persons. The mind in a circular trap cannot escape until the person is ready to examine everything, including their own sense of self, afresh. Sure, I often come across little tidbits of information, sometimes some phenomena that seem quite astonishing, and I am left wondering — it is so tempting sometimes to start to extrapolate and imagine scenarios of what might have been behind the rise of Christianity but at the same time I know that all I have are “interesting parallels” or whatever and nothing else. I know that from another perspective I am sure such things could be seen quite differently, and my imaginations could all be dissolved. But maybe not. But so long as I cannot prove or find some way to establish a causal link between my interesting “observations” and the larger question at hand, then I have to consign it all to “maybe”, speculation, conjecture — and leave it at that. It would be pointless and wrong to try to argue for something that is based on nothing more than “interesting parallels” and what I think might be “likelihoods”. I’m sure Professor Maurice Casey will now explain that you are simply reacting against bogus, fundamentalist ‘scholarship’ of the sort which claims, to take a random example, that the prayer in Gethsemane is historical, because Jesus prayed while the disciples were awake, and they heard his prayer and only fell asleep when he walked back to them. Surely anybody exposed to ‘scholarship’ of that calibre is going to react badly. I appreciate your responses, as always, and I can imagine that it might be tiresome to hear the same old same old from me regarding the Dead Sea Scrolls. In defense of my perspective on the subject of the DSS in general, I can only say that I’ve tried out every other available theory I’ve seen regarding the meaning of the Dead Sea Scrolls before I ever came across Eisenman about twenty years ago, and since then as well, and that, for me, no one else comes close to making sense of the content and ethos of DSS as Eisenman, even if one doesn’t subscribe to the idea that they are Jewish Christian or all the other ideas Eisenman has. As for the specifics, I would be happy to elaborate on the 17 other parallels that exist between the Scrolls and Jewish Christianity that I outlined (and all the others I have not mentioned). In the meantime, what do you think is a better explanation for these parallels? Was there another messianic sect called the Way that lived in a place called Damascus led by someone called the Righteous One that contended with a man who rejected the Law and founded his own congregation? These are all facts in the DSS, by the way, and not conjectures. They are there in black and white, regardless of what I or Eisenman think about them. I’m not saying that I think the Jewish Christian idea is the only possible one, but what do you think might be a better one, given these general correspondences? They may indeed be facts, but then, one would hope, in that circumstance, that you could furnish a link to support your opinion. I am not writing here, to challenge your belief, but rather to learn more about DSS. I’ll be very happy to, Avicenna. I just need a day or so to get everything together. It will be the next thing I post in the comment section here. For the time being, all of the things I mentioned above can be found in the Damascus Document. But I want to give the precise citations, so that will take me a little time. BTW, Eisenman has the Hebrew for the Damascus Document, the Habakkuk Pesher and the the first nine columns of the Community Rule in the appendix of his book The Dead Sea Scrolls and the First Christians. I actually like this book -a collection of essays- better (and find it more readable) than James the Brother of Jesus. I will mainly use these since it is online and generally more available and familiar to people than Eisenman’s translations in the Dead Sea Scrolls and the First Christians (though I might resort to those as well). I will cite only the Scrolls that mention the Righteous Teacher and his adversary the Liar. Those are the Damascus Document and the biblical interpretations called Peshers. They’re all there in the Vermes link. First, no one I know of doubts that the DSS sect was messianic. There may be different interpretations of exactly what sort of messianism they subscribed to, but it is safe to say that they were definitely messianic. “I am the Root and the offspring of David” (Rev. 22:16); “The Root of David” (Rev. 5:5); “Isaiah says, ‘The Root of Jesse will spring up …'” (Rom. 15:12). So this “root of planting” reference alone not only establishes the fact that the DSS was messianic, but that they also believed that it had something to do with God having “visited” them in the recent past and somehow “caused” it to happen (all of which is in the past tense). Even if the DSS sect is not Jewish Christian, this is essentially what (at least some) early Christians believed about Jesus, right? On a side note, the Community Rule is saturated with the idea of there being two ways, one good (the “way” that the sect follows), and one bad (the “way” that everyone else follows), and this “two ways” idea is considered by some to be the root of the two ways in the Didache and the Epistle of Barnabas, so there is already some acknowledgement in this case of a line of transmission from the Scrolls to early Christian documents even in mainstream scholarship. So there is ample enough evidence that the DSS sect considered itself as being followers of “the Way,” and this terminology is also used several times in Acts (however late or removed it might be from the time period) to describe the earliest Christians (9:2, 18:22, 18:25, 19:9, 19:23, 24:14, 24:22). 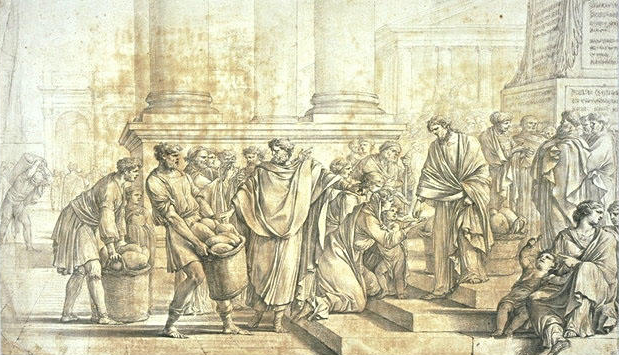 “This is the time … when the Scoffer arose who shed over Israel the waters of lies … by causing them to depart from the paths of Righteousness, and by removing the bound with which the forefathers had marked out …” (Eisenman has this as “caused them to wander in a trackless waste with no Way” (so here again is “way” terminology). “[W]ere dumb at the time of the chastisement of the Teacher of Righteousness and gave him no help against the Liar who flouted the Law in the midst of their whole [congregation]. Who else do we know of in the historical record that did anything like this to a sect like this? Let’s stop here for now. This is already much longer than I had anticipated. I’ll address the other points later. Thanks John, for this link. Well done. I am impressed. I will need to read your response and study it, I may not get to it for a while, but, in any event, please do not interpret my silence as either disinterest or disagreement. I am wholly ignorant of the sect, their politics, their beliefs, and their writings. Is there not some plausible ambiguity about the “root of planting”. The context suggests a people is being re-planted. The singular we know can be interpreted as a collective noun, like Abraham’s “seed”. This is the nature of midrash. It’s flexibility. Jeremiah 31 addresses such a “planting” of a people. I am not saying this is the correct interpretation. I am questioning the dogmatism in any single interpretation. The ‘way’ and other imagery is from the Jewish Scriptures. What we see here is Christians and the Qumran “sect” (if there was such “a sect”) drawing on a common heritage. Are scholars agreed on the one and only correct interpretations of such passages? Or is there enough ambiguity and uncertainty to make other scenarios possible? This is a great question, Neil, and I will have to give this due consideration when I get more time. In the meantime, you might want to check out a book (on Google books) that sees it exactly like this, called “The Self-Understanding of the Dead Sea Scrolls Community -An Eternal Planting, A House of Holiness,” by Paul Swarup (2006). It makes a good case. Slavonic Wars of the Jews II. vii. 2: “He [John the Baptist] came to the Jews and summoned them to freedom, saying: ‘God hath sent me, that I may show you the WAY of the Law, wherein ye may free yourselves from many holders of power. And there will be no mortal ruling over you, only the Highest who hath sent me. '” This of course is the teaching of Judas the Galilean that “God is to be their only Ruler and Lord…and would call no man Lord” (Ant. 18.1.6). “Is there not some plausible ambiguity about the “root of planting”. The context suggests a people is being re-planted. The meaning of “the root of planting” is very ambiguous. However, given how all the other correspondences between the DSS sect and Jewish Christianity line up (and I mean to finish my response to Avicenna concerning some of these when I have the time), I’m inclined (but not necessarily convinced) to think that it refers to Jesus (who or whatever “Jesus” may mean). “[A]ny link between the formation of the “remnant” and the “root” is not explicated [in the Damascus Document], although the emergence of the [Righteous Teacher] is clearly placed twenty years after the foundation of the “root.”” (pg. 54). “Beliar … will persecute the plant which the Twelve Apostles of the Beloved have planted” (4:2-3). As for whether there is a connection between the “root of planting” and Jeremiah 31:27, the former uses “mat-taw” (mem, tet, ayin) for “plant,” while the latter uses “zaw-raw” (zav, resh, ayin), so there is no definite linguistic connection between the two. The library is closing, so I’ve got to go. I’ll finish this and my response to Avicenna later. There are variants of these words throughout the OT, but I limited the search to those exact words, since these are what the Damascus Document uses. To my surprise, such uses of shoresh and matta I could find are in Isaiah (37:31, 60:21, 61:3) or spoken by Isaiah (2 Kings 19:30), as are the uses of shoresh that describe the Messiah (11:1, 11:10) and the Suffering Servant (53:2). So, while “root of planting” may still be an ambiguous expression, it looks like these words come from Isaiah. While these “390 years” appear to be based on Ezk. 4:5, even if they are taken literally it leads to roughly 200 BCE. This would be odd if it referred to a remnant, considering that the remanats had returned from exile around 500 CE, and all the references to it in the post-exilic prophets and God saying to them thorugh Haggai at that time, “I am with you” (1:13, 2:4). Sirach also gives a lengthy exposition on the righteous people up to his time (roughly 150 BCE), including post-exilic leaders like Zerubbabel (“How shall we magnify Zerubbabel?”), Jesus the High Priest, Nehemiah, and Simon, son of Onias (“How glorious he was”). Sirach was found at Qumran, so the sect was certainly aware of these people (and all but Simon from the post-exilic OT prophets and writings in any event). So if the “root of planting” refers to a remnant that God had caused “to spring forth from Israel and Aaron” 390 years after the exile (whether literally or figuratively), long after Israel had been re-established in the land with the stellar figures mentioned in Sirach, what “remnant” was it? And how secure our the English renditions on which some of these questions are based? You have rightly raised many questions, and I could respond with even more. What is the place of sacred numbers in all of this? What the status of the fateful year 167 BCE? Notice how some scholars unearth midrashic interpretations of passages in the NT that bear no immediate resemblance to anything of relevance at first — until one delves a little into the mysterious way it all worked. My point is that the thesis presented by Eisenman is just a thesis. It is one of a wide range of possibilities. It rests too much certainty on answers to a large number of questions that each on their own are really quite ambiguous or uncertain or open to so many other inputs and interpretations. Neil, can you offer a link, to support your claim, of a couple days ago? I have read very little of her work, but, I recall, about a year ago, reading a scandalous attack on her, by Ehrman, and, since then, I have been expelled from Kirby’s forum, so, I am a little sensitive to unjustified criticisms. I have no idea, which component of her research, you find offensive, for, I know so little about what she has done. But I know how Kirby operates, and your “smear” is in Kirby’s tradition, Neil, not yours. Maybe Murdoch has indeed done something wrong, and should be exposed, I don’t know, for I have no idea about the scope of her research, but, I do know from reading Ehrman, that her assessment brings out the worst in folks. I have no idea, Neil, why you would regard her work, whatever that may be, as contemptible. Please offer a link, that explains, either what you think she has written incorrectly, or, which explains in detail the basis of your criticism of her contributions. I know from a private message, that right now on Kirby’s forum, which is forbidden to my eyes, there is a multiparty argument claiming that she is wrong about something, but what that may be, I do not know, since I am denied access to the forum. I have never said I find Murdock’s work “offensive”. I don’t find it “offensive”. I have never “smeared” her. I have never, as far as I can recall, said Acharya/Murdock is contemptible. In fact, I used to write here in condemnations of smear attacks on her. I have always, and still am, outraged by the treatment some people have dished out to her. And I will not allow smear or other forms of personal attacks against her here. I was asked by some of her supporters for my opinion of her work and I began to give it. I soon learned that any criticism of her work is met with the most outrageous personal slander against the one who dares criticize. Murdock herself posted on her forum insults and all sorts of personal attacks against me. I engaged some of her supporters here in discussions on method and they confirmed what I was arguing, and even disagreed with what the normal definitions of some logical fallacies. I cannot argue with people who do not agree on what is a logical fallacy. It is not slander to say that someone’s method is a logical fallacy. Murdock interpreted statements of my honest view of her methods as personal attacks. She thus cut herself off from any possibility of discussion. If you think I have smeared Murdock here by saying so then we have no basis for conversation. I will never tolerate personal attacks here on Murdock. There is a difference between a criticism of a method of argument as a logical fallacy and a personal attack. If you don’t know the difference I can understand why you get banned from forums. I have also interjected with my own responses to his points. Perhaps I do not understand that distinction. If I had linked, without a citation, your writing, Neil, to that of “astrologers”, would you find that NOT a “personal attack”? Neil: No, not at all. I compared my own thinking with that used to justify astrology. I know. I once did argue a case for astrology so I know how the arguments go. I do not “attack” myself for arguing this way. How can I attack others for doing the same things I used to do? But if an analogy helped me understand my errors then maybe the same analogy can help with others, too. When one reads a book on logic or informal fallacies one will regularly see such analogies as these to help illustrate the point. I explained repeatedly the details of this error in past exchanges with Robert Tulip and other supporters of Murdock (it’s a k, not an h, note) and could not be bothered repeating them all again here. I have also attempted to explain the fallacy more recently. Sandmel himself explains it in his article on Parallelomania. What is there about the link of someone’s earnest scholarly pursuit of documented, ancient astronomical observations, that warrants your derogatory claim, that Murdoch’s effort shares in common, the method employed by astrologers? Neil: I did not express the point in a derogatory manner. (You have forgotten how I used to defend Murdock against such attacks and still will.) It is an attempt to make the point clear by analogy. When I discovered my own thinking was of the same fallacy as used by astrology then I was embarrassed but learned from it. But first I had to learn that the methods of astrology was a fallacy. When I compare my own thinking with that of astrologers I do not believe I am personally attacking myself or putting myself down. I am clarifying what the mistake was in my thinking. I’d choose an example from some other field if I could find one that was just as obvious and clear. Help me out here if you can with an alternative. Neil: I wish you would be just as upset over Murdock’s most viciously abusive attack on me personally. Now there you can find some real personal venom and slander and inability to handle any criticism civilly. If you wish to censor someone’s comment, then, have the intellectual honesty, to post your rejoinder, together with that “Personal attack”, so that other readers can comprehend the post. You have emasculated my reply, changing its substance. I deny having written anything resembling a “personal attack”. Then I will have to continue to either edit your comments or ban them entirely if you cannot recognize when you are making personal attacks on others. I originally trashed your entire post. I relented afterward. All commentators are expected to understand and bide by the moderation and comments policy of this blog. I do not allow personal attacks on Murdock here, either. Again, you ask good questions. I am only thinking out loud with respect to the meaning of the root of planting. I don’t know what the answer is, only that, because there are so many similarities between the DSS sect and Jewish Christianity (and I’ve only elaborated on a few of them so far), I tend to suspect it might be Jesus (whatwever Jesus may have orignally meant to the sect). As far as when the Scrolls were written, 167 BCE is in the past, since they mention Alexander Janneaus (d. 76 BCE) in the Nahum Pesher, and Amelius Scaurus (d. after 55 BCE), Salome Alexandra (d. 67 BCE) and Hyrcanus II (d. 30 BCE) in the Priestly Courses. So at least some of the Scrolls had to have been written after 30 BCE. Wise, Abegg, and Cook agree with this in their translation of the Scrolls, and Swarup sees 4QInstruction (at least) as being written up to as late as 68 CE, the year that Qumran arguably fell. So let’s bear this in mind when talking about this sect. As far as the “root of planting” in the Damascus Document goes, while this expression is very ambiguous, as far as I can tell the words come from Isaiah (11:10; 53:2), or are spoken by Isaiah (2 Kings 19:30), where shoresh is used to describe both the Messiah and the Suffering Servant. Similarly, “root” imagery is used to describe Jesus in Romans and Revelation, while “plant” imagery is used in the Ascension of Isaiah (4:2-3). While Acts is late and does not specically mention Is. 53:2, it does cite a portion of the Suffering Servant of Is. 53, and applies it to Jesus (8:32-35). Acts also knows that the early Christian movement was called the Way (9:2, 18:22, 18:25, 19:9, 19:23, 24:14, 24:22), and in the Community Rule “the Way” is based on Isaiah 40:3, which is cited in Mk. 1:2-3, Lk. 3:4-6 and Mt. 3:3. The Damascus Document also cites “the fallen tent of David” of Amos 9:11, cited in Acts 15:16, Zechariah 13:7’s “strike the shepherd,” cited in Mark a 14:27, and “the fountain of living waters” (Zech. 14:8, Jer. 2:13), and this is also applied to Jesus in Rev. 7:16. *All* these verses are applied to Jesus or the early Christian movement in early Christian writings. Additionally, the “two ways” of the Community Rule are echoed in the Didache and the Epistle of Barnabas. So the DSS sect and these early Christian writings were applying the same scriptural passages to themselves. Now, even if the “root of planting” is not Messianic, the Damascus Document clearly is messianic, explicitly refering to the Messiah many times, including one in the past tense that says that he “revealed [God’s] Holy Spirit to them,” a theme that also threads throughout Acts from the very beginning. Now, regarding “Damascus,” this is the reason it is called “the Damascus Document,” and this place is also associated in this Scroll with “the New Covenant.” I could say a little more about that, but I’m running out of time. To cut to the chase, as far as I am aware, only Eisenman notices that, coincidently or not (and are all the things I’ve mentioned so far, which are only a few of the similarities that exist, only a coincidence?) the first syllable of Damascus (Dammasheq in Hebrew) is the Hebrew word for blood (dam), while the last syllable (masheq) shares the same root with shaqah, to give to drink (cf, 1 Cor. 11:25, where it the communion also tied in with the idea of “the New Covenant”). I don’t question the dates assigned the DSS and I’m not attempting to argue against your position specifically. What I’m trying to point out is that it is just a hypothesis and the closer one looks at all the different links of which it consists, and how so many of these links are not in themselves absolutely certain but the result of interpretations that could have gone any number of ways, with the result that it must remain a hypothesis to be tested. One must test it by seeing how it can be disproven. Again, all the similarities between images in the DSS and other Christian literature show us is that they all derived from the same Jewish matrix. That’s all. There is no cause-and-effect or line linking them from one to the other. I understood you stressed the “root of planting” instance as a clincher to establish the messianic nature of the sect, and I only wanted to suggest that the passage is not such a definitive piece of evidence for one specific hypothesis. It is open to a wide range of interpretations and its significance in the ideology of “the sect” is even more open to variable interpretations. Eisenman may be right, but we must await much more evidence to appear before we can say that with any real confidence. I’ve been thinking about this since I saw your comment. It made me want to refresh my memory on rabbinical and intertestamental literature with my older eyes, to see what similarities may exist there that I may be overlooking given my focus on the Dead Sea Scrolls. As far as intertestamental literature goes, it’s not much different than I remember it. It is generally so (arguably) contaminated with Christian interpolations that it’s hard to tell what’s genuinely pre-Christian and what’s not. While I can see interesting things in them now with my DSS-colored glasses that I couldn’t back in the day, I think it’s impossible to say anything about them with respect to a common, first century CE Jewish matrix with much certainty, given their generally uncertain provenance. Even if we set that issue aside, the similarities that exist between these writings and early Christian literature are all over the map, as far as whatever common citations of or allussion to this or that OT verse goes. Whatever commonalities may exist are sprinkled throughout various intertestamental writings, of differing ages, languages and places of origin, so that, even if we remove the more obvious post-70 Christian interpolations (or take into account the obvious citations to Enoch or Jubilees in James and Jude -both of which, BTW, were only used by the DSS sect pre-70), it’s hard to say what Christian writer may have had what intertestamental writings in mind to help them create their idea of Jesus. As far as rabbinical literature goes (Mishnah, Midrash, Targums, Talmuds), it’s also hard to prove that anything relevant in them comes from the first century CE. The arguments for this sound a lot like the arguments people make for the existence of oral or early written traditions of behind the gospels to me.Maybe, maybe not. What the Dead Sea Scrolls in general, and the Damascus Document in particular have going for them is that we know with certainty that they existed in the first century CE. Not only that, with respect to the latter, we can see lots of OT allusions and citations clustered in this one document alone that are applied to Jesus across the spectrum of early Christian writings. We also know that they have never been interpolated. This is in addition to all the other similarites that exist between the Scrolls and Jewish Christianity I’ve been outlining here (18, of which we’ve only discussed maybe five of them so far). My musing on the “root of planting” is more for the mental stimulation, just to see what could be made of it, but its Isaianic vocabulary certainly fits the messianic context of the Damascus Document.